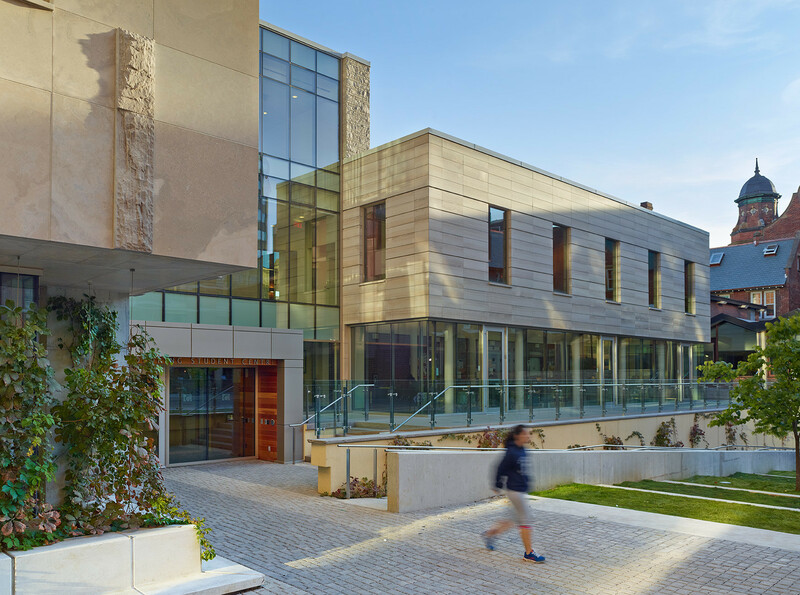 The primary spaces overlook the new quad, which is the heart of the project, and was made possible by the relocation of an access road that previously ran through the site. 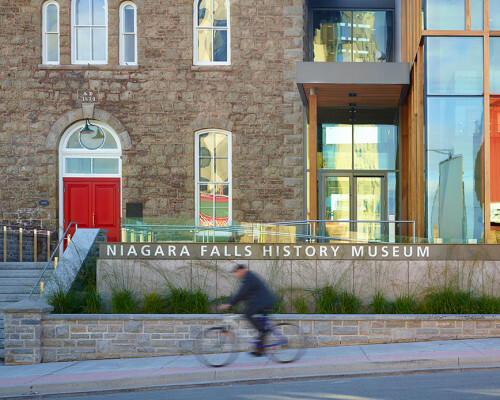 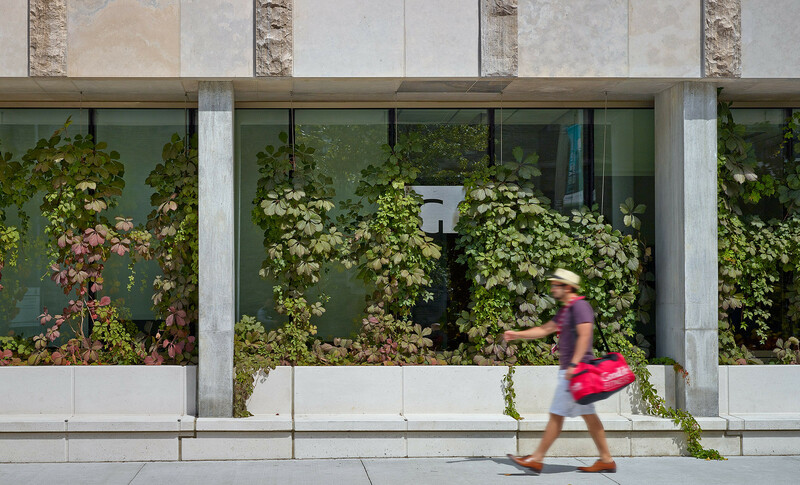 This allowed the design team to introduce a new green space that connects the building to nature and to the adjacent student residence. 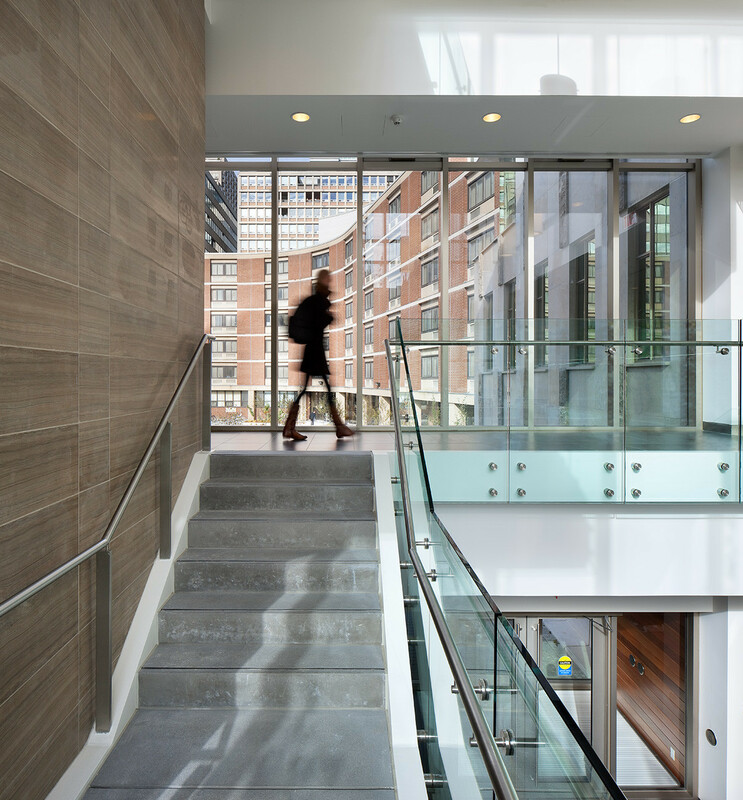 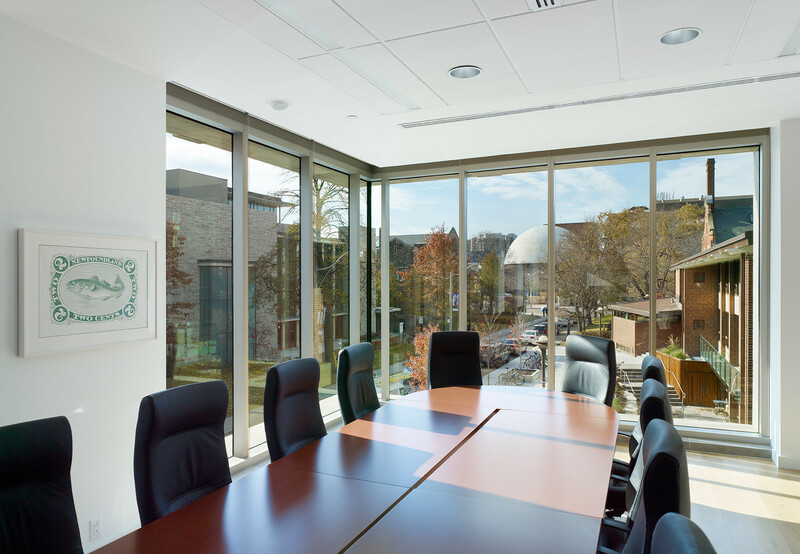 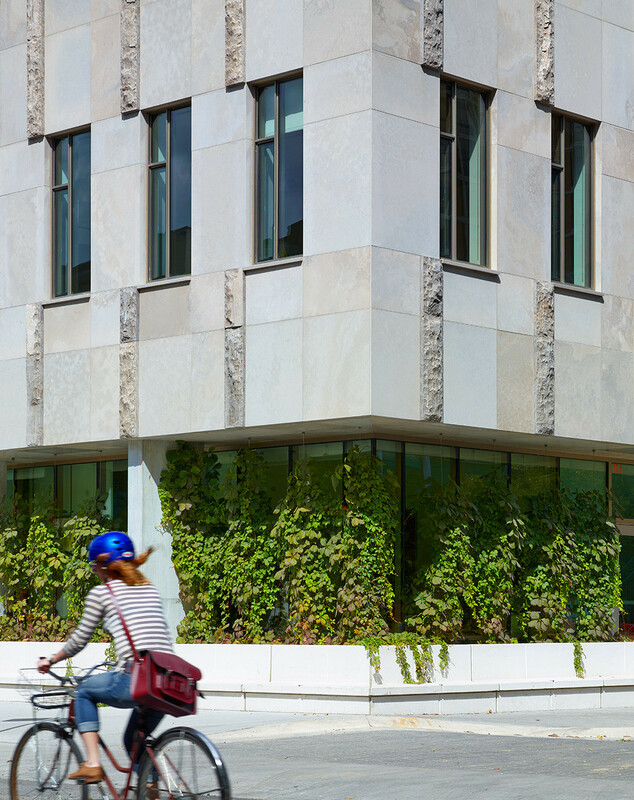 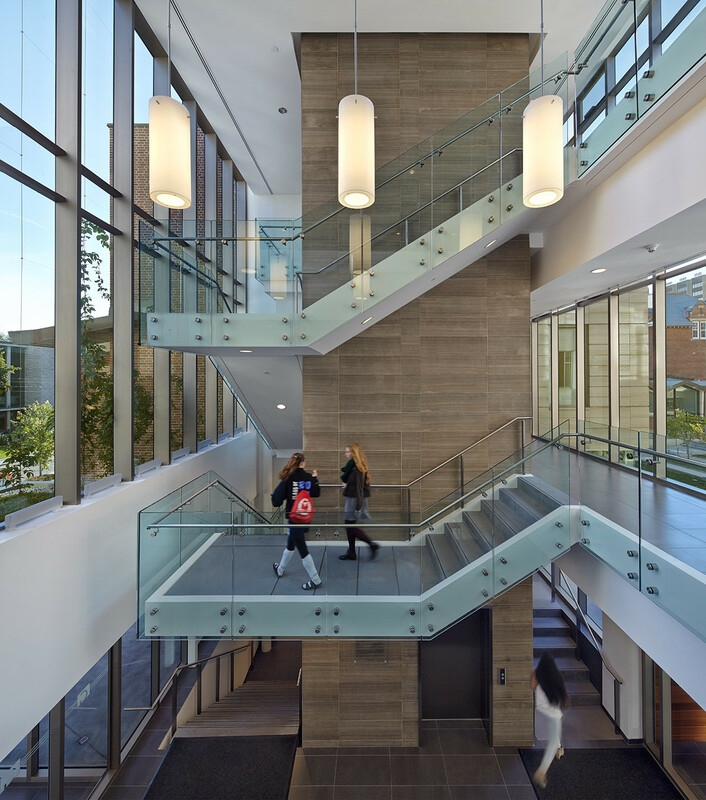 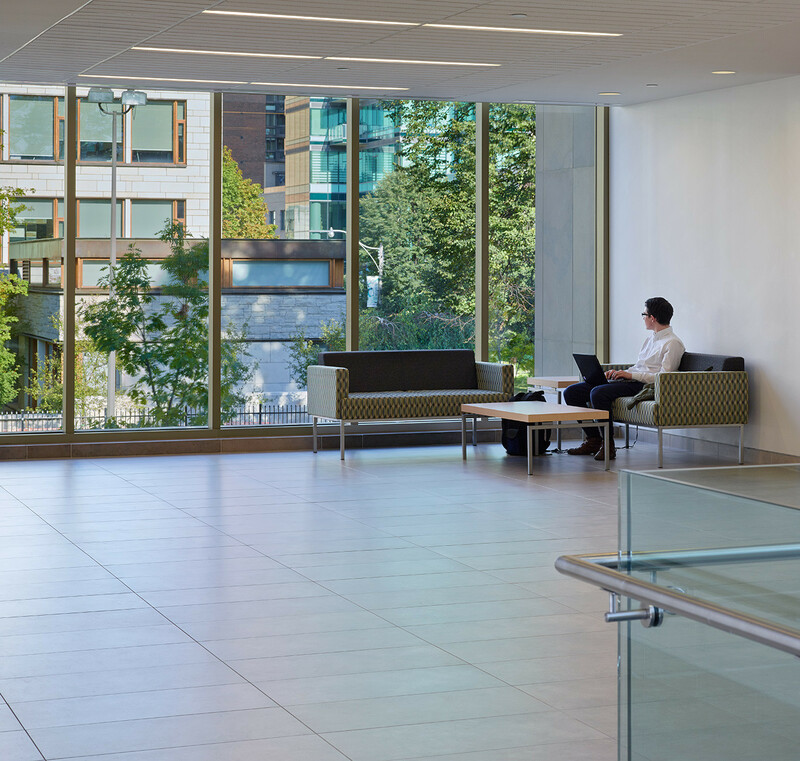 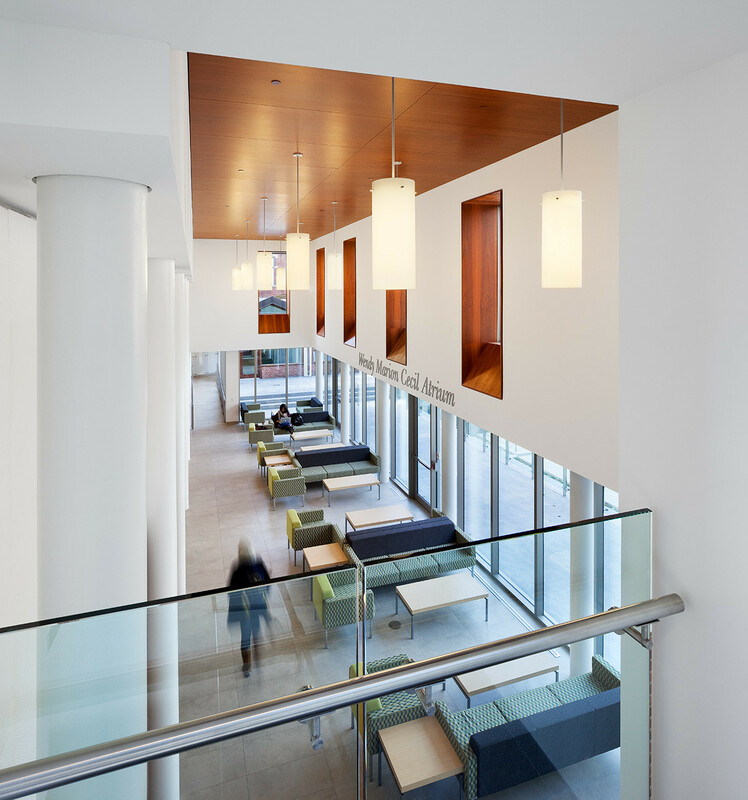 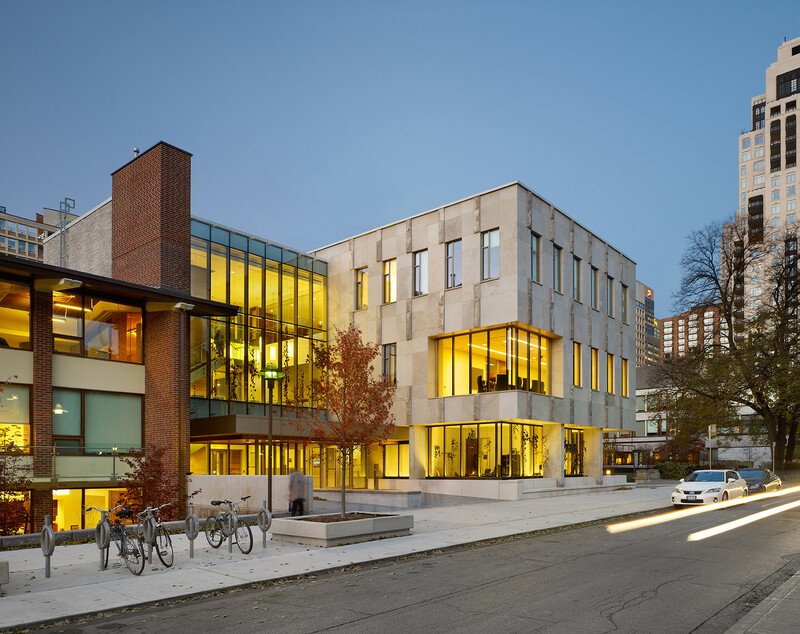 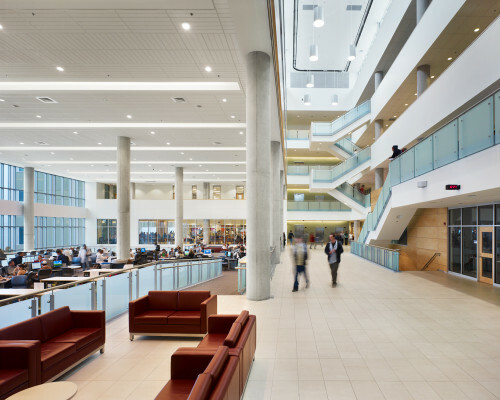 The porous, welcoming and animated ground plane reinforces pedestrian routes through the campus, and lures students into the building’s exceptional interior and exterior spaces.